Burrendah Primary School became an Independent Public School in 2013. As a result of being an Independent Public School we have had increased autonomy and flexibility allowing us to better meet the needs of our unique school community. Our Business Plan 2013 – 2015 articulates our response to this autonomy and flexibility. In our third year of being an Independent Public School we had an external review by the Department of Education Services. A copy of the report outlining the findings of this review is available below. 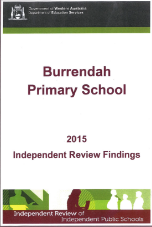 The Burrendah Primary School community is very proud of all that has been achieved in our first term as an Independent Public School and believe the findings in this report are a true reflection of our school community. We look forward to building on these achievements as we look to our second term as an Independent Public School. 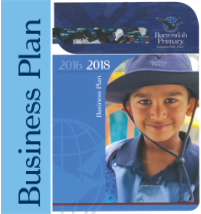 In 2019, Term 3, the current Business Plan 2016 - 2018 will be reviewed by the Department of Education Services. To view our Business Plan - please click on cover page below.